According to the National Institutes of Health (NIH), about one million of people in the United States have Parkinson’s disease and about 60,000 people are diagnosed with the disease annually. Typically, the disease occurs in people who are older than 60. However, there are cases of earlier occurrence. Parkinson disease can be developed in the body when the brain cells that produce dopamine, a chemical that helps in signaling between different areas of the brain, become not effective or die. Without dopamine, movements of the patients are rigid and unintentional, which makes everyday life tasks challenging. The early stages of Parkinson’s disease are subtle and in most cases the disease occurs gradually, but there is no specific time of complete disease development since it can progress quicker or slower in different people. 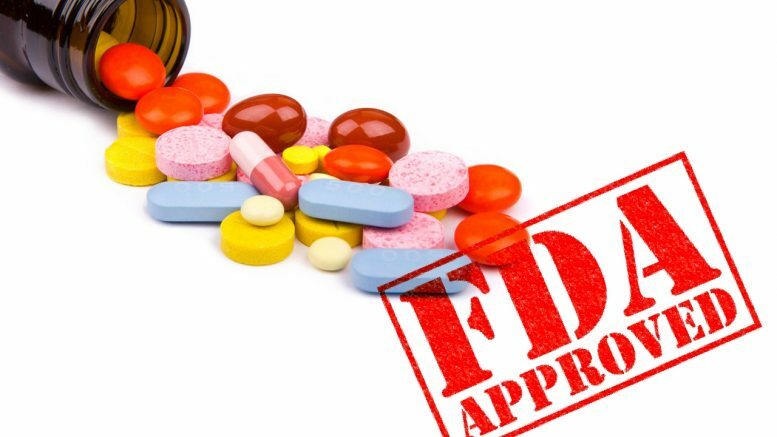 For people with Parkinson’s disease who take carbidopa or levodopa but are still experiencing the so called “off” condition, the U.S Food and Drug Administration (FDA) approved an add-on treatment, Xadago (safinamide), from Newron Pharmaceuticals SpA pharmaceutical company. “Off” episodes are possible when prescribed drugs are not working well and the disease symptoms occur more frequently. The most common symptoms are difficulties in walking and tremors (shaking or trembling moves in one or several parts of the body). Eric Bastings, M.D., deputy director of the Division of Neurology products in the Center for Drug Evaluation and Research (CDER), said that Parkinson’s disease was a relentless disease without any cure. He added that they were committed to helping make additional treatments available to patients with Parkinson’s disease. Unfortunately, there is no available information on how soon Xadago will be available in the local community pharmacies. For studying the efficacy of Xadago (safinamide), the clinical trial with more than 600 participants was conducted. All of the patients were experiencing “off” time despite the fact they had been taken levodopa. Compared to the group of participants on the placebo, the other group who took Xadago experienced more beneficial time, so called “on” time when symptoms were suppressed and there was not dyskinesia (unintentional and not controlled moves). However, the increase of time called “on” was not the only benefit. The “off” time reductions were another benefit for patients on Xadago. Furthermore, patients experienced improvement in motor function during their “on” time. During another trial, half a thousand patients added Xadago to their levodopa treatment and used both medications on the same time. They also experienced the increase of “on” time and the assess of their motor function showed better results than before the treatment. Patients who take dextromethorphan for their cold or cough treatment or have severe liver issues should not take Xadago as well since in combination with their medication it can cause a severe increase in blood pressure. Xadago’s side effects observed during the clinical trials were falls, insomnia, trouble sleeping, nausea, or uncontrolled movement. Less common but severe side effects included hypertension (high blood pressure), falling asleep during day living activities, psychotic behavior, hallucinations, compulsive behaviors, fever, retinal pathology, confusion, and serotonin syndrome in case Xadago was used along with oxidase inhibitor. 1 Comment on "FDA Approved Add-On Treatment For Patients With Parkinson’s Disease"
This is my testimony about the good work of a doctor Anthony who cured me..my names is sarah ,i was Parkinson’s positive for 2 years and my mom was diagnosed of hepatitis b,,i was so desperate to get my mom back to normal ,and myself ,i was not able to get cured, till one day i saw someone post about perfect health natural herbs medicine who cured him ,so i contacted them so after 30days of usage,we went for medical check up my family doctor confirmed thats my mom was totally cured hepatitis b and i was totally cured of parkinson (PD) too,now am fully cured .thanks to dr Anthony may God keep blessing your hand work ……..